Is the air conditioning and cooling system in your home making odd noises or failing to reach a comfortable temperature? You might be in need of AC repair. Our local heating, cooling, and ventilation company specializes in repairs for all types of air conditioning units. From small wall units that cool a few rooms to central air conditioning units for large commercial properties, our highly skilled AC technicians can remedy any problem. Backed by more than 75 years of combined experience in the industry, our air conditioning repair contactors can handle any size repair project. 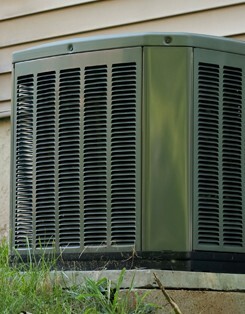 We can fix faulty condensers, repair leaky ducts, and solve problems with insufficient or irregular cooling. The longer you wait and put off repairs will only make things worse. At our HVAC company, we have experience in repairing all of the top air conditioning brands that we sell, which include Trane, Carrier, and Lennox. The crew at our company takes pride in our AC services and repair work, and we always strive to provide the highest level of quality and workmanship. This is why we offer a two-year labor warranty and a 10-year warranty on all replacement parts. At our company, we know that power outages and AC system breakdowns can happen at any time or day or night. We offer our affordable air conditioner repair services to our customers in any kind emergency situation. We remain on-call for your emergencies 24 hours a day and seven days a week because we know these situations never follow a convenient schedule. Whether your air conditioning system goes out on you in the middle of the night or your office building’s cooling system shuts down during a summer heat wave, you can always place your trust in our skilled and experienced team. We will arrive promptly to your location and have your AC system up and running again in no time with our emergency air conditioner repair solutions. Extend the life of your air conditioning system with our comprehensive AC services. The staff at our HVAC company provides professional inspections to quickly determine the best course of action in repairing and maintaining your air conditioning unit. Thanks to our preventive care services, you can enjoy your current air conditioning unit for years to come. Once we evaluate the key parts and components in need of repair, we get to work quickly and efficiently to make sure cool air flows through your building again. Have you noticed signs of an AC problem at your home? The experts at our HVAC company can help! Call our office today to get a free estimate or schedule an appointment for AC repair. We are proud to serve many customers throughout Jacksonville, including Mandarin and Southside, and the surrounding areas of Jacksonville Beach, Neptune Beach, Atlantic Beach, Ponte Vedra, Orange Park, Fernandina, and St. Augustine.